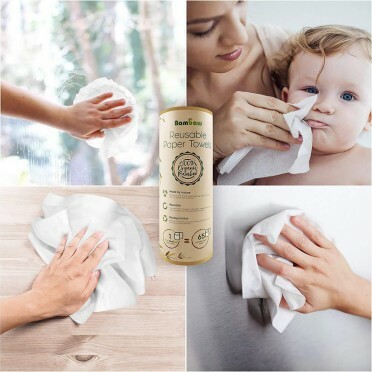 Our bamboo roll contains 20 washable and reusable bamboo paper towels. Bamboo fibers are thick, absorbent and quick to dry. Their softness and antibacterial properties make them good for the skin. 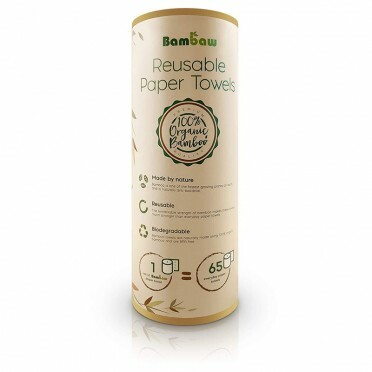 Reduce the waste of unnecessary paper towels and save trees by switching to our Bamboo Towels. More than 50.000 trees are cut down every day to meet the daily demand of kitchen rolls, affecting the delicate balance of our ecosystem. Our eco-friendly paper towels are washable and can be reused many times. Once they can no longer be used, you can simply compost the organic paper towels.